This limited-edition bronze, below, by Italian artist Lucio Fontana (1899-1968) made £24,000 at West Sussex saleroom Bellmans (22% buyer’s premium). 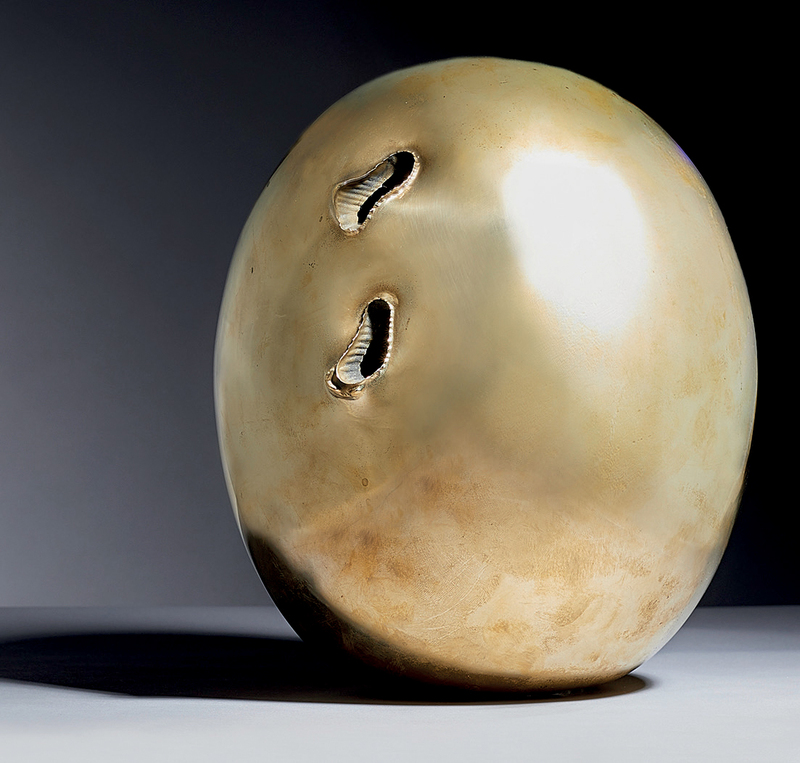 Concetto Spaziale Natura sculpture by Lucio Fontana – £24,000 at Bellmans. Offered on November 3 without its pendant, the 10¾in (26.5cm) high bronze sold to a private buyer against a conservative £8000-12,000 guide. The spherical Concetto Spaziale Natura sculptures were produced in a limited edition run of 500 in c.1967 by Berrocal in Verona. They formed part of Fontana’s famous Nature series, which was partly inspired by thoughts of the “atrocious unnerving silence” awaiting man in space, and the need to leave a “living sign” of the artist’s presence. While single sculptures from the series tend to fetch sums in the low to mid-five figures, paired works can more than double in value. In November last year, Phillip’s New York sold a matching pair from the same edition for a premium-inclusive $143,750 (£109,730). Elsewhere in the sale, Edward Seago’s (1910-74) bucolic work Harvest in Norfolk sold to an anonymous buyer within estimate for a sale-topping £27,000. The 19in x 2ft 1in (49 x 64cm) oil on board had gallery labels for Richard Green and Colnaghi.